Glasgow is one of the best cities in the UK for shopping with shops and boutiques to suit all tastes. Argyle Street, Sauchiehall Street and Buchanan Street are the main shopping areas of the city where you find a mix of high street favourites, independent boutiques and higher end stores. If you’re shopping for big labels in particular then head to the Buchanan Galleries, St Enoch Centre and Princes Square. The West End is also a great destination for shopping with great little bohemian boutiques and quaint shops on offer. 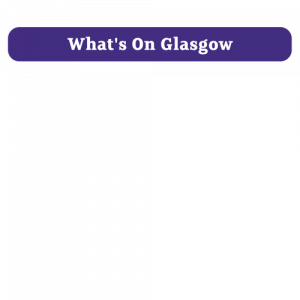 There is plenty to see and do in Glasgow with something to suit every visitor. Architecturally, the city offers a beautiful mixture of old and new, from striking Victorian buildings to modern properties like the Clyde Auditorium. There’s a wide range of museums and galleries, attractive parks and open spaces, and an excellent variety of concert venues and nightlife. For those who like to explore beyond the city, Glasgow offers a great base for discovering the beautiful Scottish countryside. Loch Lomond is within easy reach, and energetic visitors can climb nearby Ben Lomond for some fantastic views. If you fancy seeing another Scottish city then Edinburgh is easily reached by train. There’s a diverse range of cuisine on offer in Glasgow, from local Scottish specialities to the exceptional Indian fare that gave the city the title “curry capital of Britain” for two years. The traditional fish supper is also a favourite, available from fish and chip shops throughout the city. Restaurants offer a wide variety of international cuisines, from Chinese and Indian to Russian and Mongolian and popular restaurant chains including TGI Fridays, Nando’s and Pizza Express can be found in the city centre. Bar 91, Metropolitan, Citation, Boudoir, Bar 10, Bar Gandolfi & Gandoplhi Restaurant, City Merchant, Italian Kitchen, Italian Cafe, Guys, Babbity Bowsters & Ingram Hotel. West George Street – Blue Dog piano bar, open late. Grand Central hotel –champagne bar. Bath Street – The Butterfly and Pig, St Jude’s, Palomino & Abode Hotel. Blytheswood Hotel – afternoon teas, bar, restaurant and spa. Cafe, restaurant and live music. In the heart of the city, displaying cutting edge work from local, national and international artists. Cafe and shop. Scotland’s Centre for design and Architecture.